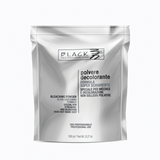 Toning decoloring powder that allows both natural and colored hair to be lightened and colored at the same time. Very effective for obtaining highlights with a remarkable time saving, also allowing different shades of color to be created on top. 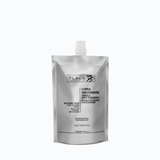 A foaming neutralizing setting liquid for cold perm, whose formulation has, been studied to obtain on effective neutralizing action and at the same time to carry out a conditioning action and to give volume to the hair. Leaves hair soft, shining and easier to comb. 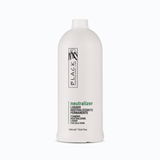 A new, innovative prem solutien that gives an elastic curl and a perfect, long-lasting wave,leaving hair soft and fragrant. 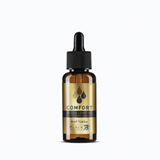 Its special formula gives vitality and volume to particularly fine hair without damaging it. 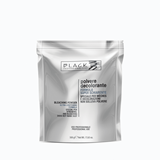 Description: Product formulated with non-volatile powder and researched to obtain “natural” and uniform decoloring. 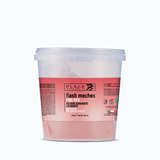 Its formula rich in selected ingredients is recommended for all techniques: highlights, streaks, bleaching, special effects and decoloring. Thanks to the light blue pigment contained, it prevents the color changing into yellow-orange tones and gives more light to bleaching. It is mixed with 5 – 10 – 15 – 20 – 30 - 40 volume oxidants, forming a uniform compound that is easy to apply Instruction: Mix in a non-metallic bowl, 50g bleaching powder with 100 ml of oxidizing emulsion. Brighten mixture acts rapidly and may reach lightening 4 to 6 levels, depending on the selected oxidant emulsion Black (20, 30 volumes of 40). 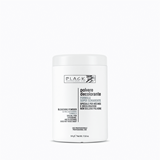 It is recommended to periodically monitor bleaching process throughout the dwell time, depending on the desired result of the hair and the ambient temperature. 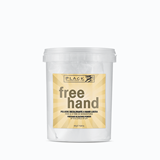 Moisturizing wipes with aloe vera extract to remove paint stains from the skin. 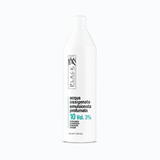 Skin protection against hair color remnants 500 ml.